Fuse Technology Group | Will a Chromebook work for your business? 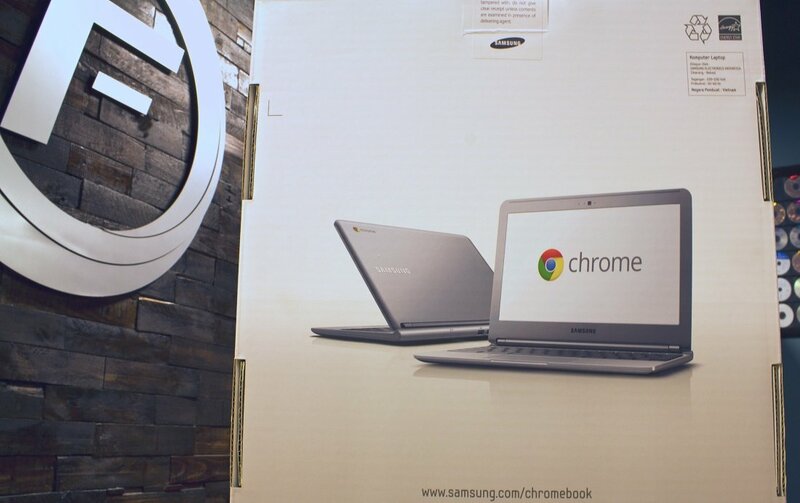 Will a Chromebook work for your business? Stripped down, Web browsing, Cloud Running, WORK HORSE! I heard someone refer to a Google Chromebook as a “single minded laptop” and I thought that was a very accurate description. It’s true, the machine is narrowly focused on web browsing; however, web browsing sounds like such a casual and non-productive term, which it used to be. With the advent of the cloud though, it has supercharged web applications to the forefront of computing allowing a web browser to now be a powerful business tool! You can check your email, use accounting applications, even CRM and business automation apps, and all straight from your web browser. Users who do most of their business in a web browser currently would be ideal candidates for a Chromebook. The Focus of the Chromebook is almost calming. When business users login to their Chromebook they know what they are getting and they are getting it quickly! There are no distractions, asking you to update this or that, or a concern that your machine may catch a virus or spyware, you just get a very specific experience. Sure, it may lack the versatility of a full desktop or laptop, but do you really need that to conduct your specific business? That is the biggest question you should be asking yourself in regards to running a Chromebook at your business. Further, the Chromebook is just plain reliable, it knows what it needs to do and it does it well. The price tag alone should get your attention. Most Chromebook devices run between $250 to $400, which is a pretty dramatic savings. When you talk about purchasing a large volume of notebooks, Chromebooks can literally save you thousands! With XP no longer supported, the Chromebook will be a viable solution for many. Weighing what your users want vs. what they actually need. Your staff may have become familiar with Windows or Mac and the idea of a limited purpose laptop may scare them. In many instances you may face all out resistance along with many reasons why a Chromebook won’t work. The real challenge will be to drown out that noise and really examine if the Chromebook will allow your staff to accomplish their job. Most users like what they are used to; however, their preference could cost you thousands when talking about bulk computer purchases. I am not saying that a Chromebook will work for everyone, but I will say there is real opportunity for it to work for many. There will be some businesses where it simply doesn’t fit, but for others the hurdle will be to see if it doesn’t fit because of actual cause or simply because a staff member doesn’t want it because of the change. When it comes to technology, most will agree there is a learning curve or that users will have to get used to something. This usually means the technology is hard or has some great learning curve. In the Chromebook’s case that’s simply not true. It’s just different than what they are used to, since its purpose is so focused, but out of the box your users will know how to use it! How do I know if a Chromebook will work for my business? Obviously if your business utilizes Google Apps then you are an extremely good candidate for the Chromebook. The less obvious candidates would be users who do the majority of their business computing from a web browser and office files; there is a good chance a Chromebook will work for you. It may not have all the bells and whistles that your staff is used to, but it will get the job done! Think of it like a pickup truck with 0 options, sure it’s not as fancy as a Cadillac but it gets the job done. Heck, with the price tag, it’s worth buying one and tossing it in the field to see how it functions in your business. If it doesn’t fit, it’s not breaking the bank and if it does, well, your bank account will thank you!